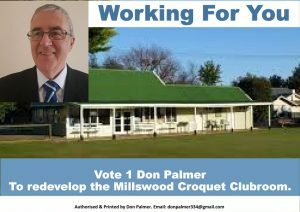 Don Palmer, Councillor for Clarence Park Ward, City of UnleyProviding Local Leadership: Redevelop the Millswood Croquet Clubroom. Don Palmer, Councillor for Clarence Park Ward, City of UnleyProviding Local Leadership: Redevelop the Millswood Croquet Clubroom. Providing Local Leadership: Redevelop the Millswood Croquet Clubroom. On public record with my description a few years back of it being a “death trap” it is time to redevelop the Millswood Croquet Clubroom. 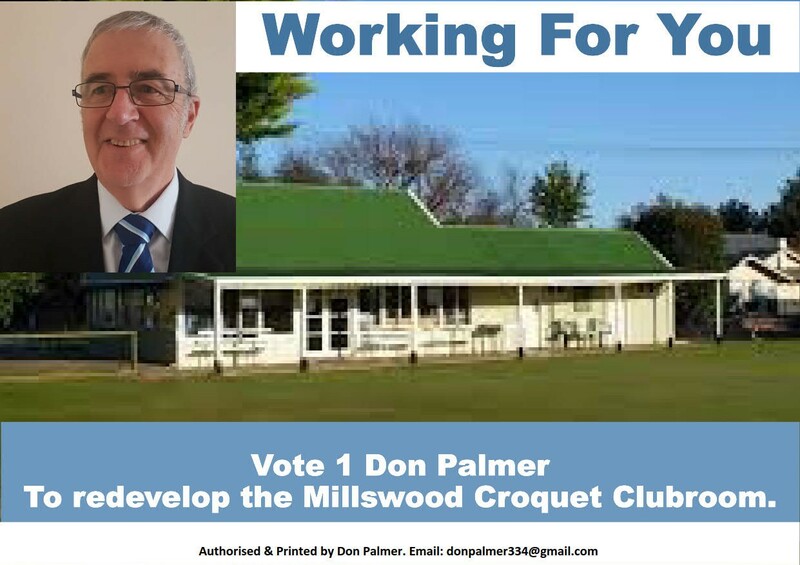 To redevelop the Millswood Croquet Clubroom is something Council owes the Millswood Croquet Club. We recently re-directed money we had allocated to their clubroom in our long term financial plan to the Goodwood Oval Grandstand. With money on the table courtesy of Jayne Stinson during the recent State Government election for the grandstand we had no choice. The grant funding was subject to us lifting our own contribution. Due to this, the Croquet Club has been placed on the back foot. Not sure of their future and using this “death trap” the club deserves to have Council back on their side. The Club has a long and steep history. They are approaching their 100th year. In addition, they have spent their own money in re-configuring their lawns. They financed, with assistance from Council, the recent upgrade of their lights. Like all our sporting clubs, the Millswood Croquet Club provide opportunities for our community to live active lives. They can do it far better and at much less cost than we do. We provide the facility that allows our community to be active. Because they are better equipped than us, we contract them to provide the opportunity. Consequently to redevelop the Millswood Croquet Clubroom is a project we owe them.